Shakespeare in the Park this season will feature the plays The Merchant of Venice and The Winter’s Tale directed by Daniel Sullivan and Michael Greif and will see the same actors in both plays performed on rotating nights. 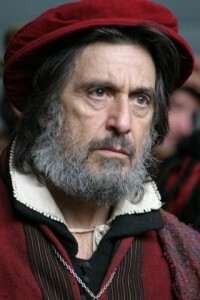 With the mighty acting talent of Al Pacino in The Merchant. While Swizz has an extensive wine menu and a downstairs cave, it’s the cheese that people come here for. Fondue lovers, Swizz Restaurant & Wine Bar is the place to go and the menu is just as extensive as its wine. It’s romantic and cheesy. Get it! Café des Artistes is one of those old historic bars that’s as New York as it gets. This bar/restaurant was the meeting place of artists going all the way back to 1917. Today, it serves up new American dishes and cocktails to those in the know. To soothe your sweet tooth, check the uptown location of Magnolia Bakery and sink your teeth into one of the city’s best cupcakes.